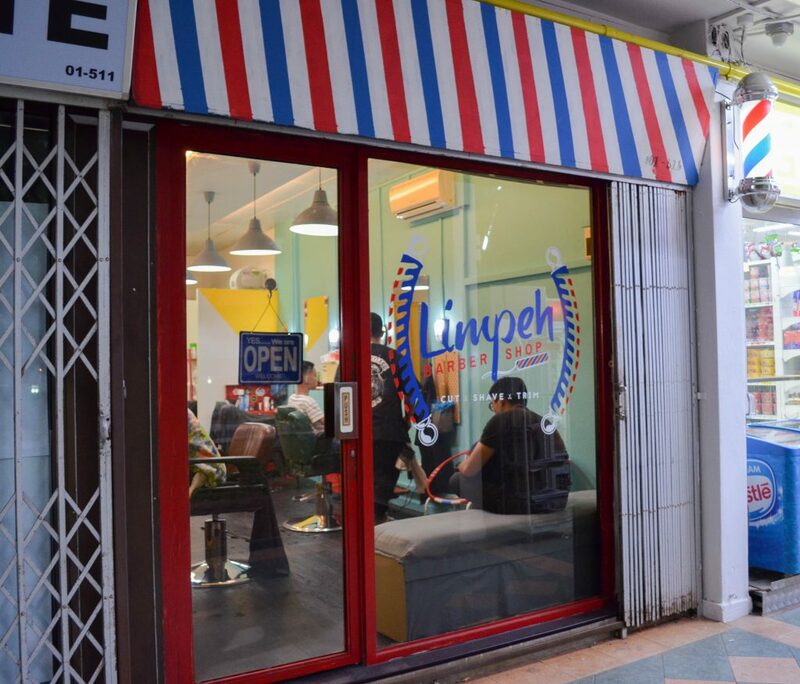 The young female boss of Limpeh Barbershop went from doing house calls to setting up shop. 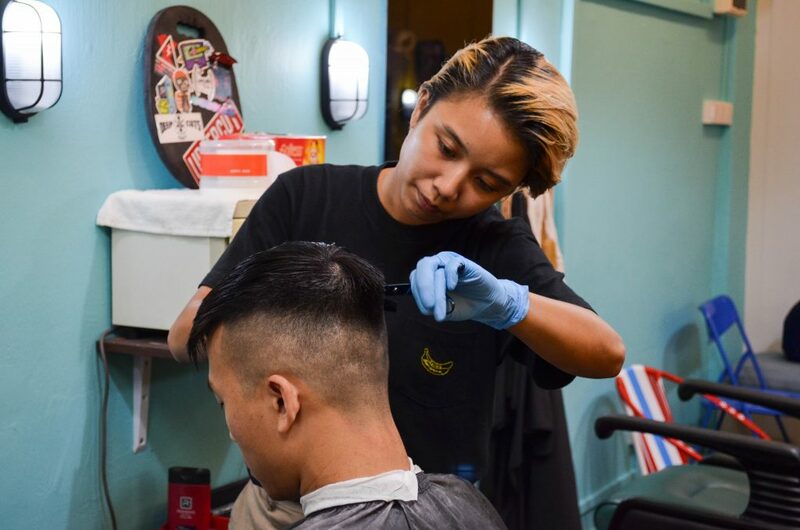 It’s common to have male stylists tending to women’s tresses, but less so for female barbers to be grooming men’s hair. The long-standing norm didn’t stop Ms Siti Rafidah from entering the fray though. 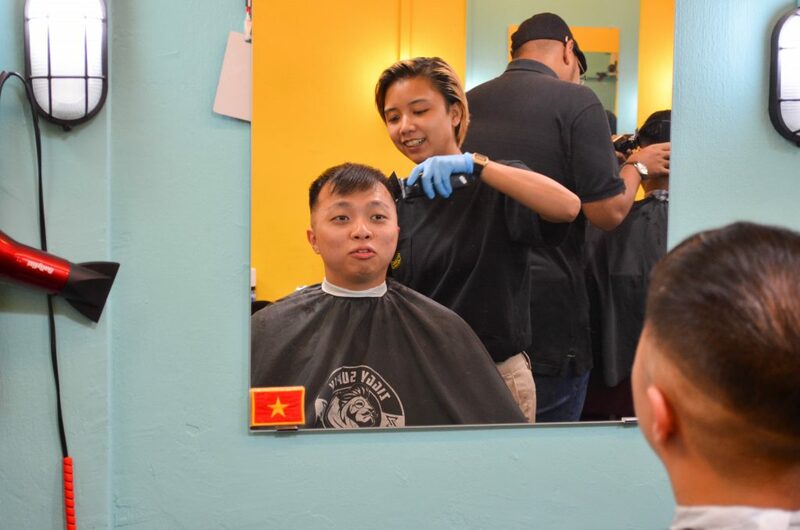 In fact, not only has the 26-year-old become a professional barber, she’s also opened a barbershop and hired a team of male barbers. For Ms Rafidah, going against the grain is part of her recipe for success. She believes that the harder it is to achieve something, the more benefits she can reap if she succeeds. So when she first had to deal with skeptical male customers who were unsure of her abilities, she reminded herself to bite the bullet and prove her worth. “If you don’t prove to someone what you are capable of, they will never know your worth,” she said. Her efforts paid off as her customer base grew steadily, which gave her the confidence to be her own boss. 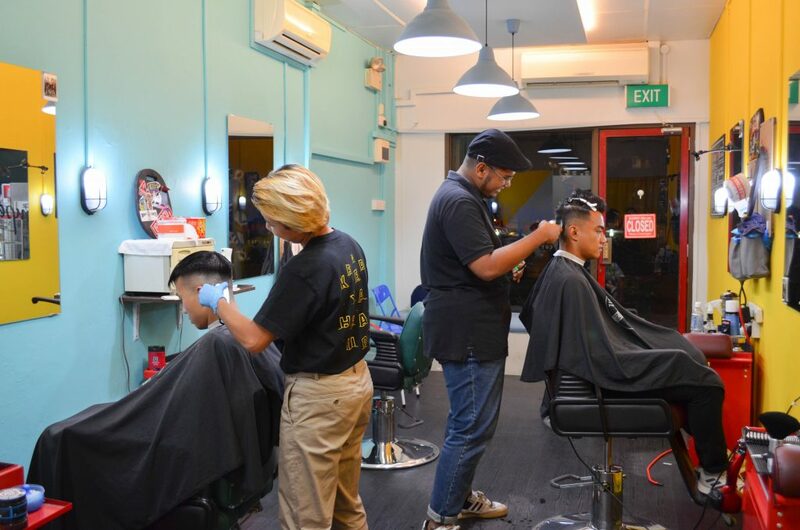 Ms Rafidah first discovered her passion for barbering after researching on the topic for her final year project in Nanyang Academy of Fine Arts (NAFA). The graphic design graduate took on a design job but quit in 2015 to learn barbering. 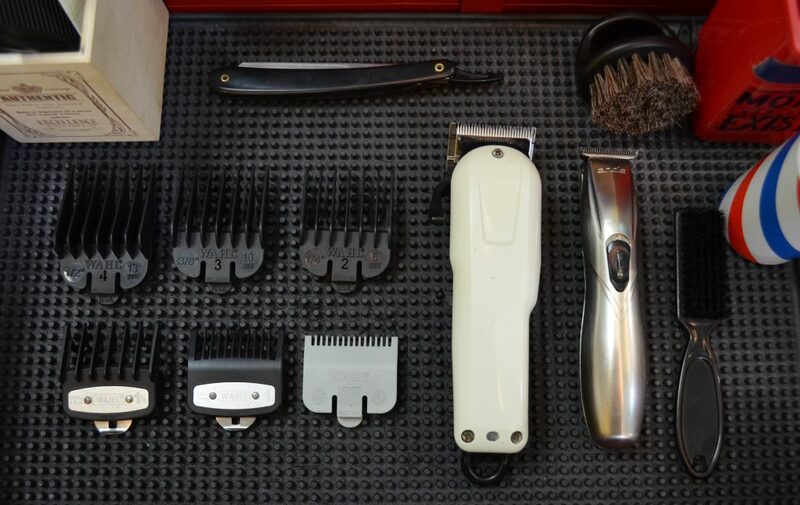 Barbering is a profession that is steeped in tradition. Ms Rafidah had to familiarize herself with all the classic techniques and traditional tools, from clippers, trimmers, combs to open razors. She found facial hair grooming particularly challenging as she couldn’t practise trimming and shaving her own hair. At the start, she nipped the skin of her customers, but she made sure to learn from the “trial and error” and get better at her work. 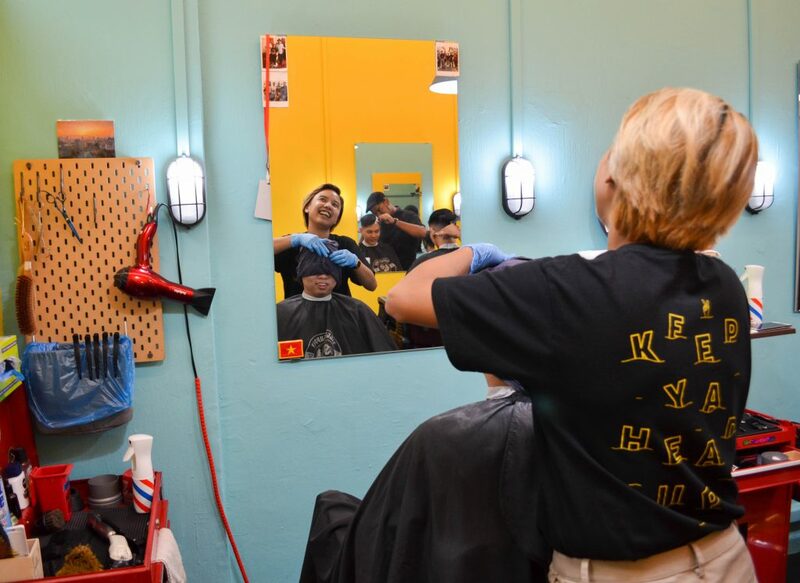 Ms Rafidah said barbering has given her more confidence. She used to be afraid of talking to people but has learned how to hold conversations with her clients now. “After I met with clients, I learned how to communicate better, to understand and listen,” said Ms Rafidah. She also relishes the opportunities to learn from the life experiences of her clients, who come from all walks of life.